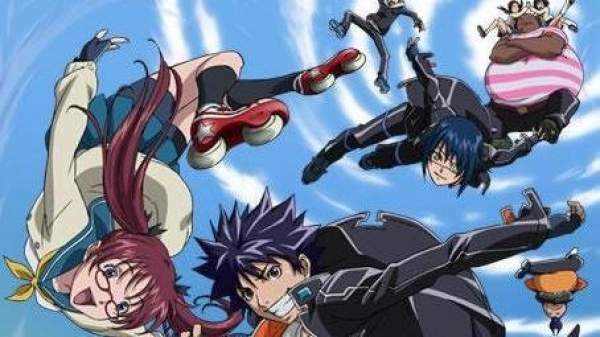 Air Gear Season 2 Release Date & Updates: Will It Ever Happen In Future? Air Gear season 2 has been making rounds on the internet. A lot of people are asking about it since the end of the first season of Air Gear. Let’s see if it will ever happen or not. People get to think that the two OVAs made after the series ended is series’ continuation, but it isn’t the case. In that OVA case, the makers have adopted the later volumes of the manga in the OVA. So, those can’t be referred to as a proper sequel. The series has now become very aged and so, lots of people have dropped the hope of getting a sequel, ever. Air Gear Season 2: Will It Ever Happen? 1 Air Gear Season 2: Will It Ever Happen? 1.1 Is There Something Left for Air Gear Season 2? 1.2 Did Season 1 of Air Gear Make Enough Money To Consider A Sequel? So, let’s see if it has really got a 0% chance to happen. These days, we have got to see the sequels of stuff like D.gray-man and the reboot of Inuyasha. Hence, why can’t AirGear get a continuation or reboot? To get the answer clearly, we will have to take a closer look at the sales and popularity to guess its chances of happening. The sales’ figures are important because if a project doesn’t get money the first time it is launched, the makers won’t dare to play with its sequel. AirGear was released in 2006 for the first time. So, the question to ask is if it did well in 2006? Let’s get down to the numbers now to check if it failed the first time. Is There Something Left for Air Gear Season 2? The first season of Air Gear anime adapted the manga volumes from 1st to 12th. However, the OVA skipped some volumes but included volume 16, 23, and 24. As far as the manga is concerned, the author Ito Ogure has ended the manga with volume 37 which was released in 2012. The ending of the manga is really a bad news for the anime sequel. The leftover manga material seems not sufficient for the anime after excluding the material used for OVAs. However, the producers can make a sequel using volume 13 to 37. That’s makes quite a sufficient material. The last volume of Air Gear manga is going to release this year in English. So, fans have got an opportunity to finish the story, at least this way if not anime. You will get to know how it ends. Did Season 1 of Air Gear Make Enough Money To Consider A Sequel? First, let’s talk about DVD sales. In the time of 2006, selling anime on DVD was the best way to ask for money and new season other than boosting the source material and getting massively popular. Did it go well in this regard? Actually, it went pretty much badly. The average sales were around 1.5k. It’s still low including the streaming money. Now, let’s get to the Merchandise. AirGear manga was already popular in Japan. So, the merchandise went somewhat good even if the DVD sales were low. But, looking at it in 2018, after 12 years, it doesn’t look so good. Still, we can’t really comment on this topic. AirGear, later, was adopted into a musical named – Musical Air Gear. It went pretty well and got a re-run in 2007 and 2010. We don’t know the exact sales’ amount of previous volumes of manga, but the last few volumes got a decent figure. The volume 36 in 2012 was sold around 140k copies. It’s neither an outstanding number nor a bad one. It still performed well at this point. Still, it wasn’t a hit. So, the numbers have made it clear that AirGear first installment wasn’t a big success. Besides the ways listed above, AirGear was making money with other methods too. But, we couldn’t find a reliable and trusted source to trust the figures. The DVD sale figures, Merchandise and Manga sales’ numbers aren’t that big that would scream for Air Gear season 2. Air Gear didn’t lost money, but it didn’t make much too. So, it’s not hard to think that there won’t be a season 2 for the series. Not all series make the second installment. By this time, the conclusion should have been ready. It may disappoint the ardent fans. After going through all the above stuff, it’s quite clear that there will never be a season 2 of Air Gear anime. If you want to know the story ends, you should get the manga and read it. The official website was updated in 2006. So, it’s now clear. Maybe, the chances are still negligible, there would be a reboot. The first time, the anime adaptation had issues and it didn’t really followed the Manga properly. It may be possible that better studio and better animation may give it a life the second time.